Bracken Fern Manor Our records show that this inn is closed. Prophets' Paradise Our records show that this inn is closed. StarGazers Inn & Observatory Our records show that this inn is closed. 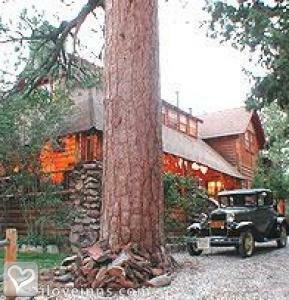 Big Bear bed and breakfast travel guide for romantic, historic and adventure b&b's. 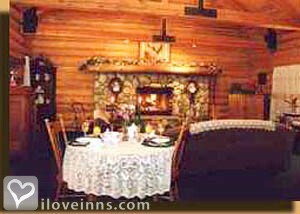 Browse through the iLoveInns.com database of Big Bear, California bed and breakfasts and country inns to find detailed listings that include room rates, special deals and area activities. You can click on the 'check rates and availability' button to contact the innkeeper. Big Bear is a small town located in the southern part of California, in the San Bernardino County mountains. While most cities would boast about their skyscrapers, Big Bear takes pride in the very fact that it is nestled in a terrain with so many natural scenic spots. Guests who fill up Big Bear bed and breakfast inns usually come from the urban grind and settle for a time in the cool fresh air that the mountains provide. While resting in their Big Bear bed and breakfast accommodations, they can get a view of Butler Peak and the surrounding hills and mountains. Most go out hiking the rugged terrain that the San Bernardino National Forest offers. Skiing is another favorite activity in Big Bear. The two major ski areas in Big Bear, namely Snow Summit and Bear Mountain should be the choices. 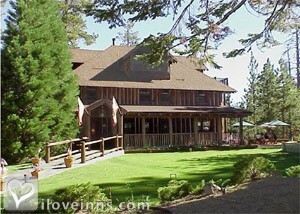 By Gold Mountain Manor Historic Bed & Breakfast.